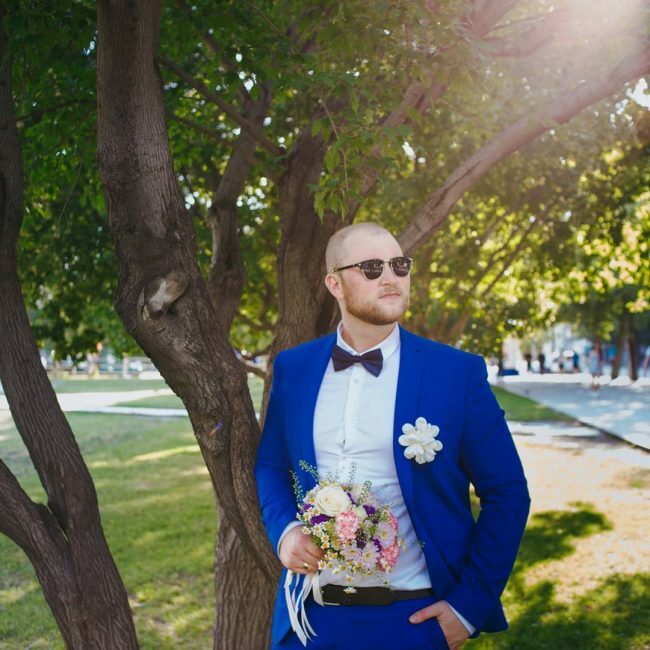 Wedding suits for men can sometimes be difficult to choose because you not only need to look fancy and elegant but also attract some attention. 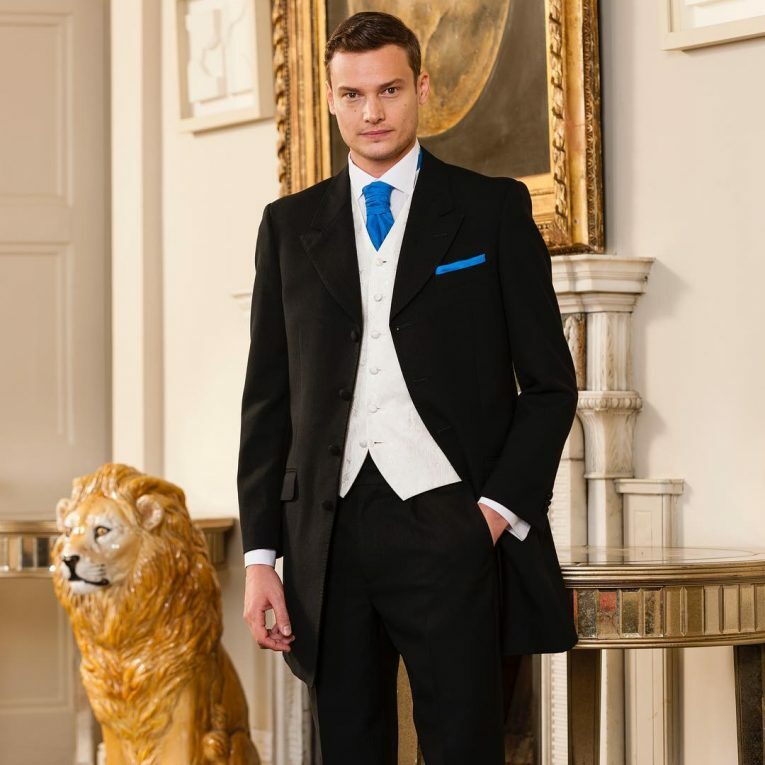 Additionally, wedding suits for men have to match with the theme of the wedding to look fabulous. 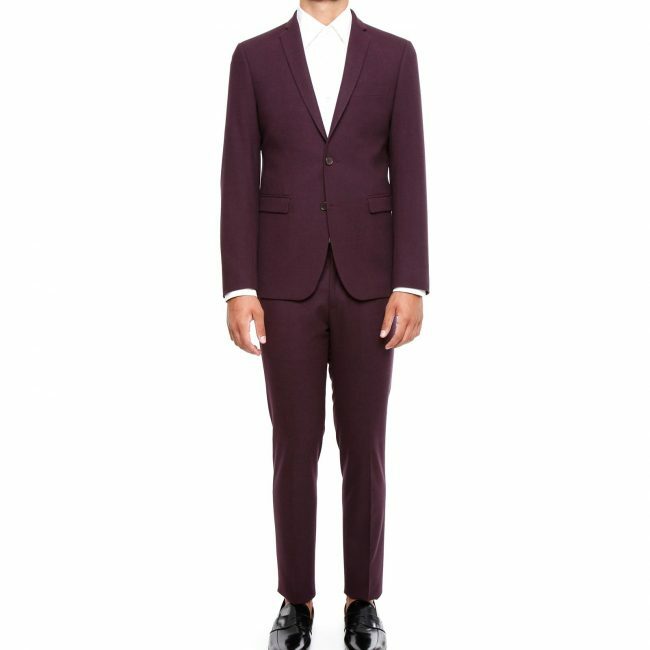 However, this does not mean that you have to blend with everyone in the crowd when attending a wedding. There are different designs and colors that you can choose from and come out stunning. 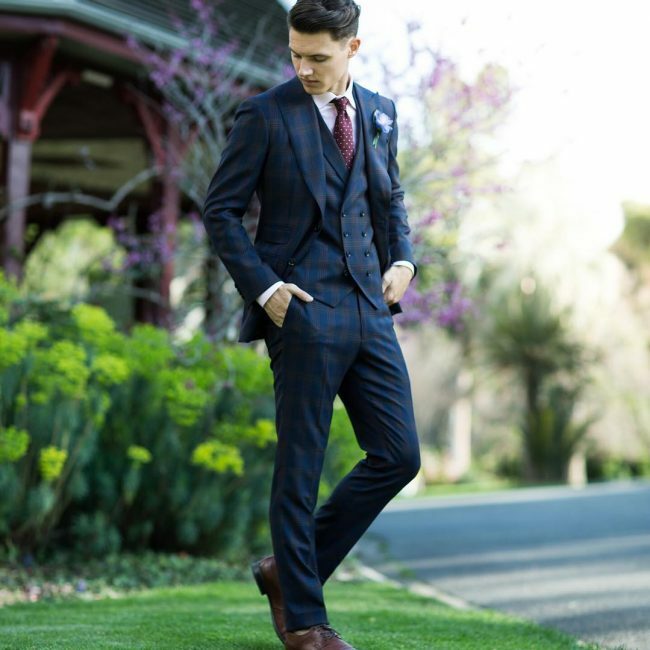 The following are 40 wedding suits for men ideas that will never fail you on that important day. 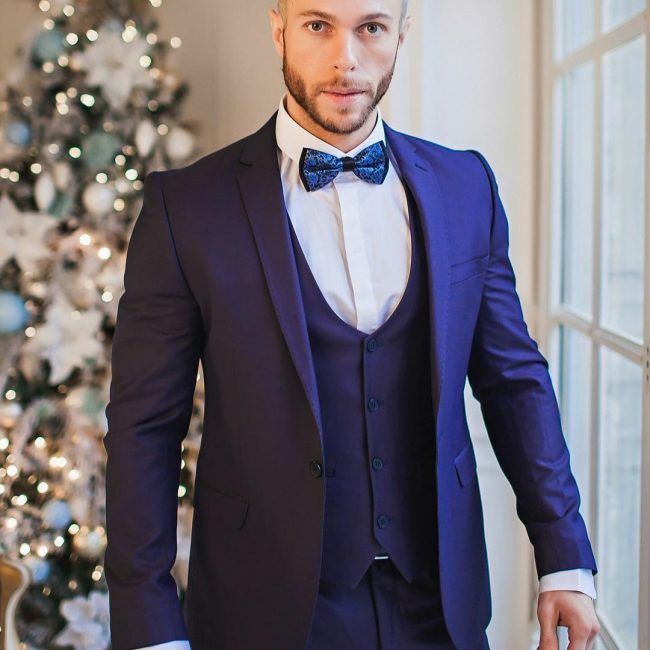 A royal blue 3-piece designer suit is a fancy wedding wear for men who want to look unique and mature. The inner coat can be designed with a lower U-collar to look stunning. 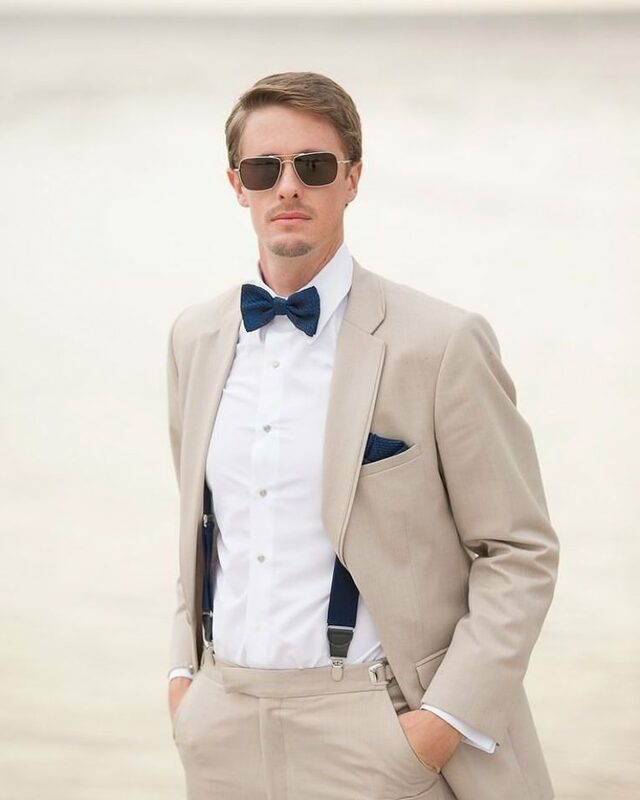 The style can be completed with a white shirt and a bluish bowtie. 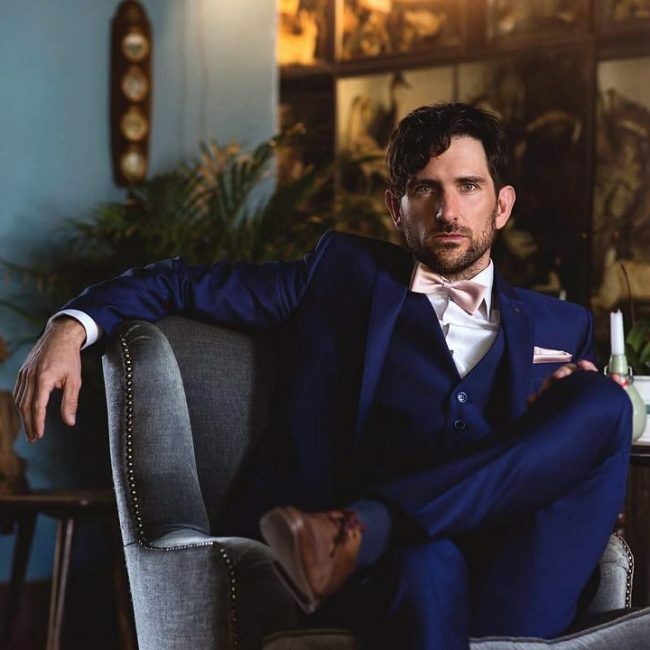 Hot blue 3-piece suit is a stunning men’s wedding wear that comes out beautifully when worn with a matching blue bowtie, white shirt, and red-black cordovan shoes. The style can be spiced with a whitish square pocket. 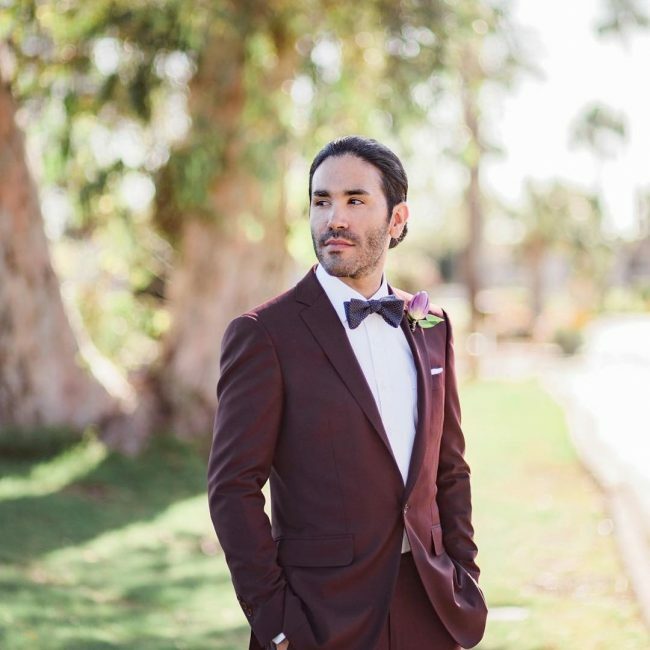 A fitting maroon suit is a super men’s wedding outfit that comes out elegantly when completed with a white shirt and brown cordovan shoes. The style can be spiced with a brown cordovan and black Cordovan shoes. 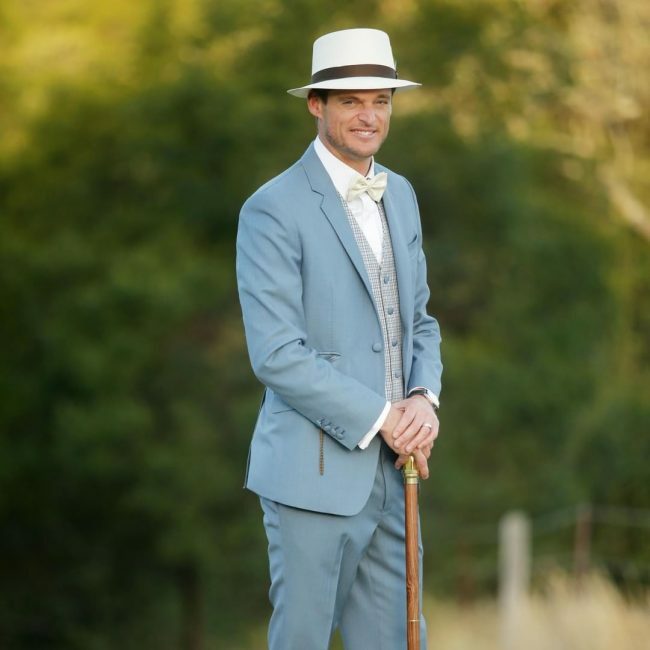 A clashed pale blue 3-piece suit is a is a nice men’s wedding wear that comes out beautifully when worn with a white shirt, cream white bowtie and a nice matching cream white hat. 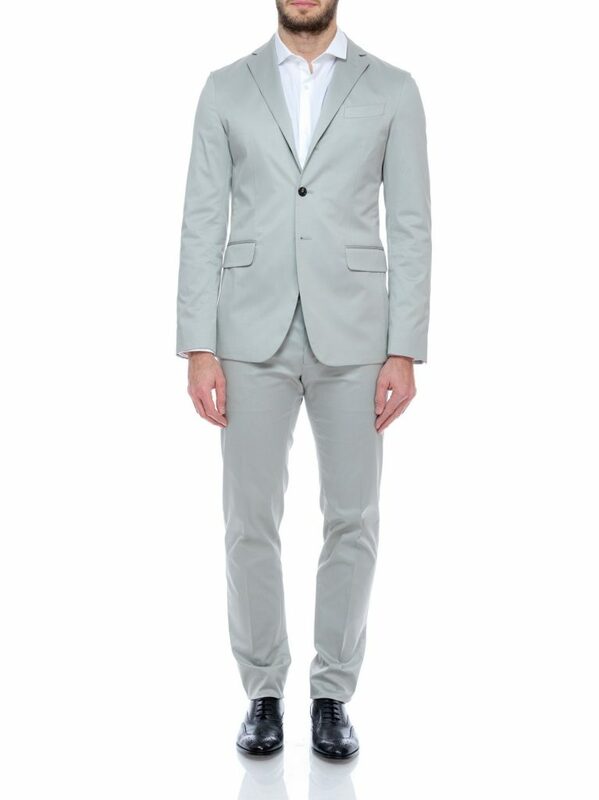 The undercoat should be greyish in color to clash well with the pale blue coat and trousers. 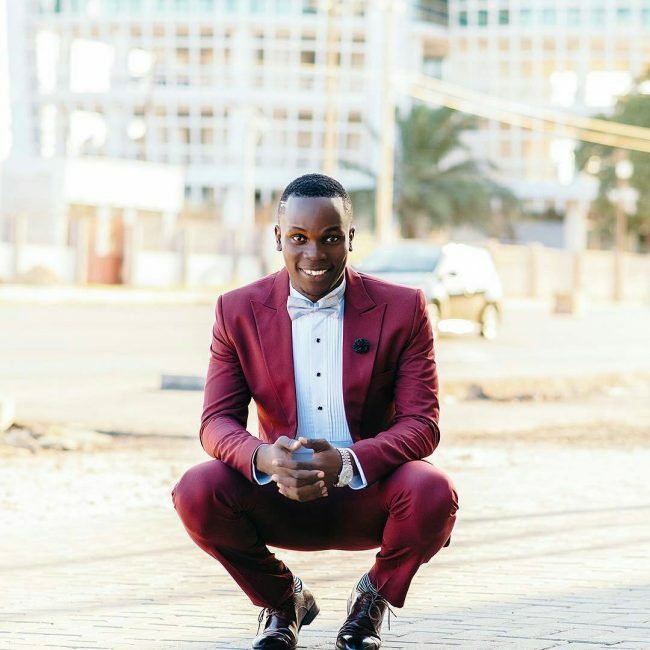 A lightly checked blue 3-piece suit comes out beautifully when worn with a white shirt, dotted maroon tie, and brown leather loafers. 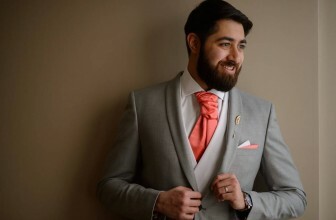 You can spice the style with a light blue pocket square to look fancy. 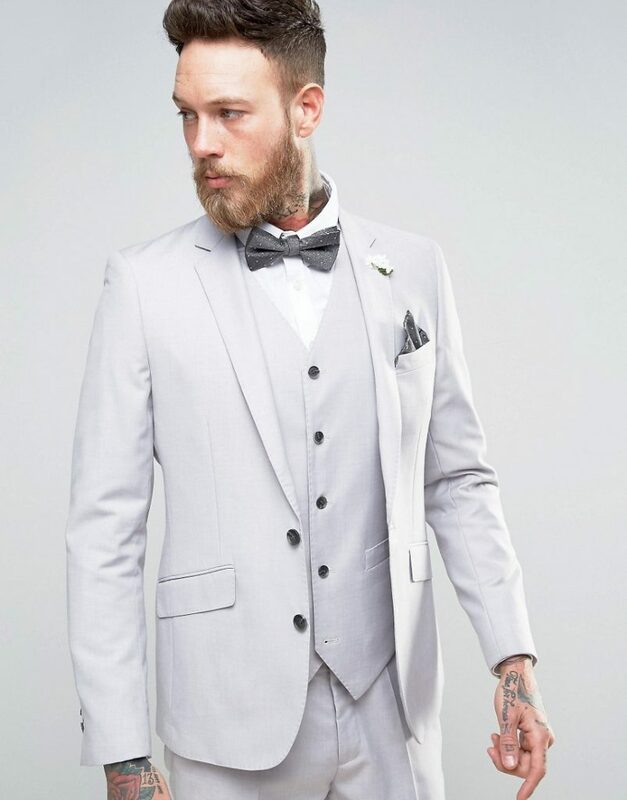 For men who want to look unique and attract some attention, a cream white 3-piece suit is a nice men’s wedding wear. 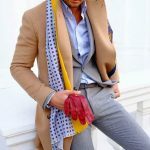 The style can be completed with a brown ankle height boots and a matching tie. 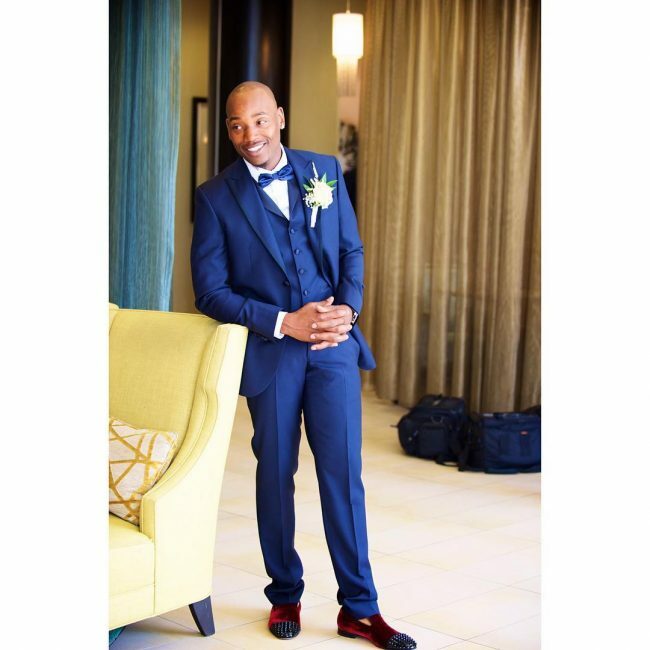 A clashed blue 3-piece suit is a nice men’s wedding wear that comes out beautifully when worn with a white shirt and grey bowtie. 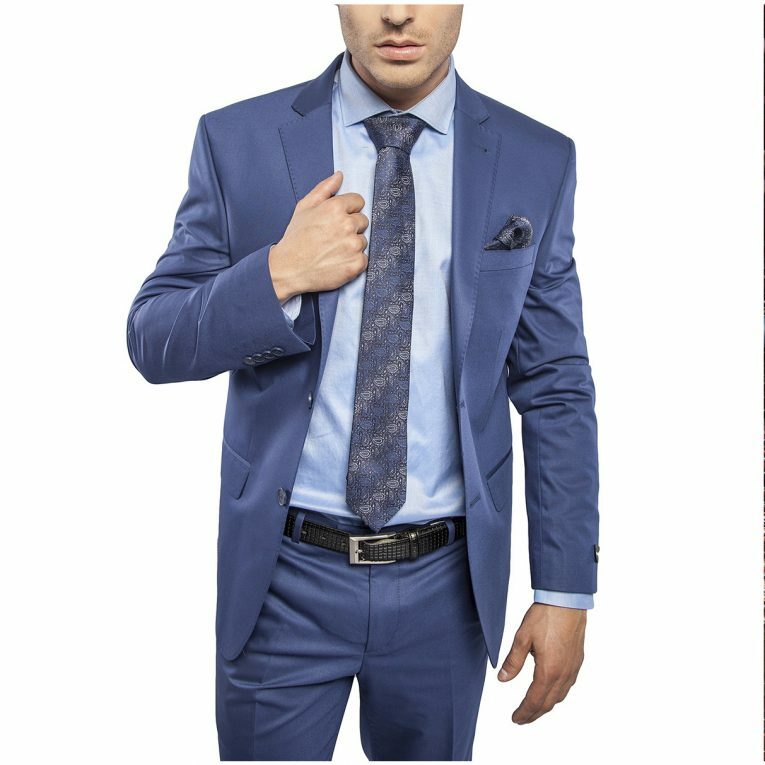 The undercoat and the pocket square should be greyish in color to clash well with the blue coat and trousers. 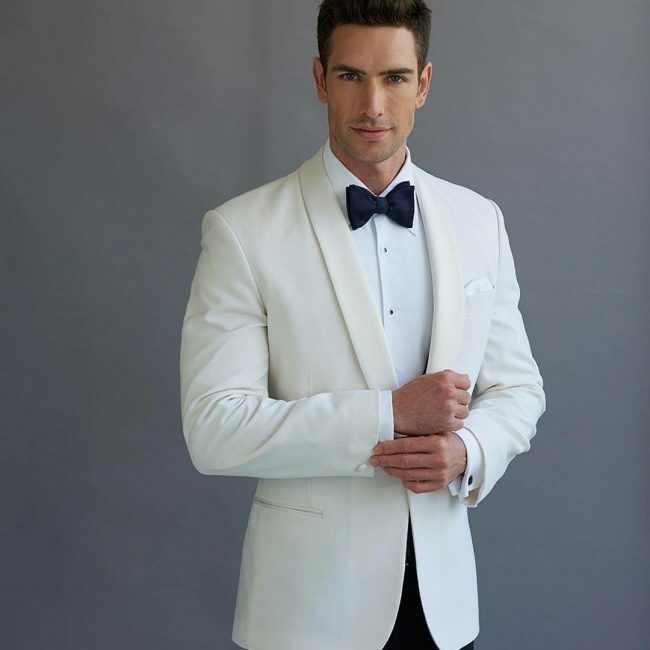 A cream white suit coat clashed with black trousers comes out beautifully when worn with a white shirt and spiced with a black bowtie. 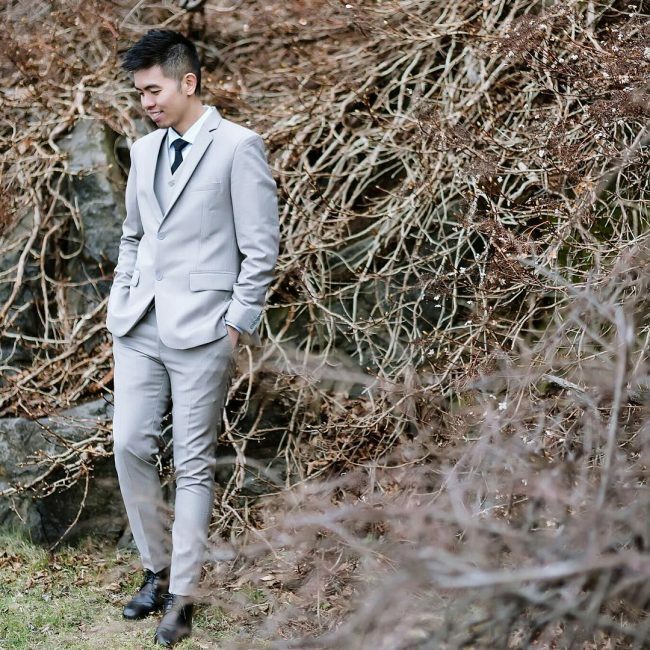 A pale grey suit is a lovely men’s wedding wear if you want to look simple and elegant. 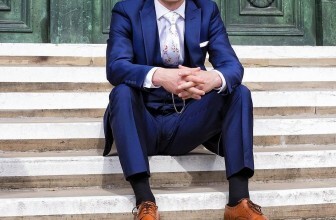 The style can be completed with a light blue shirt, yellow dotted tie, and brown monk leather shoes. You can also spice your style with a yellow pocket-flower. 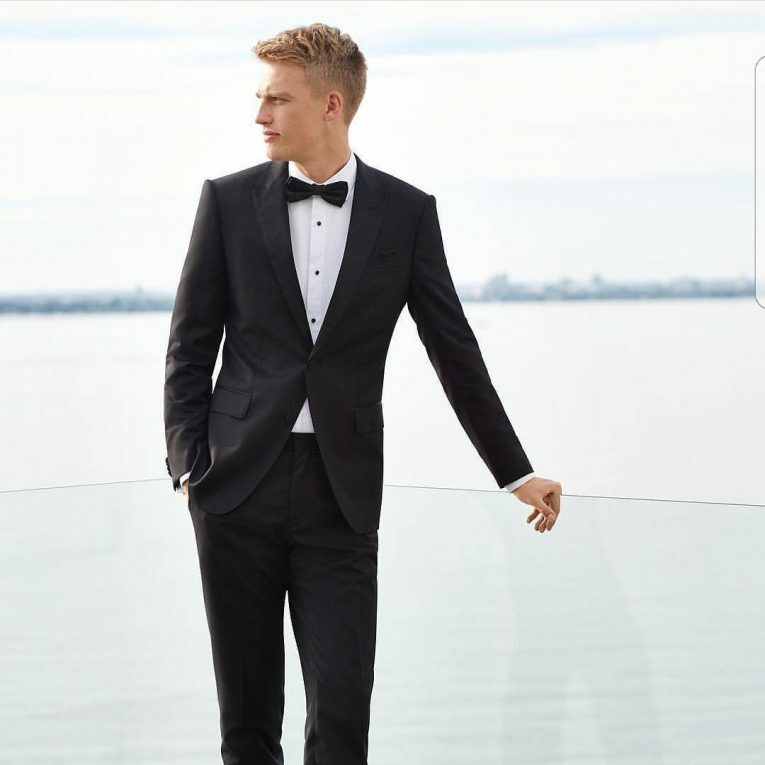 A black 3-piece tuxedo is a fancy wedding wear for men who want to look classy and expensive. 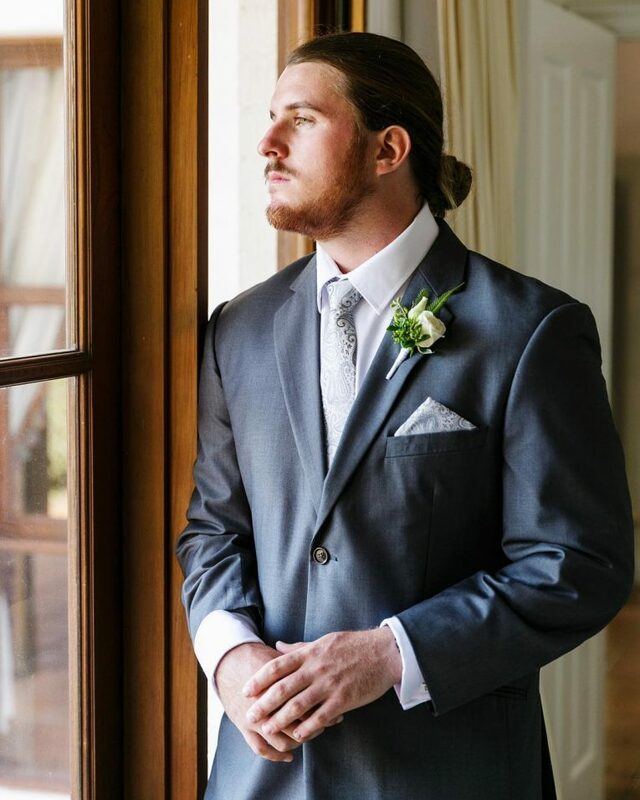 The style can be completed with a matching black tie, a white shirt, and a white pocket square. 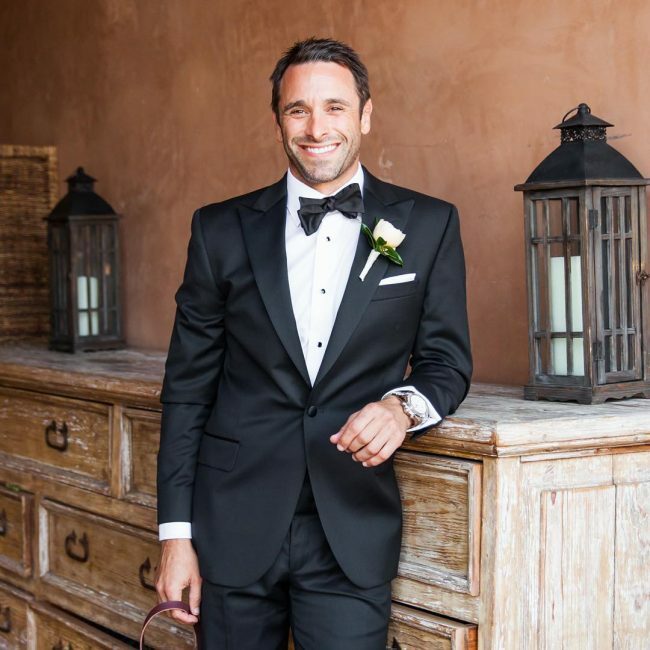 A black 3-piece suit comes out elegantly when worn with a white shirt, black-white pocket square and a black bowtie. 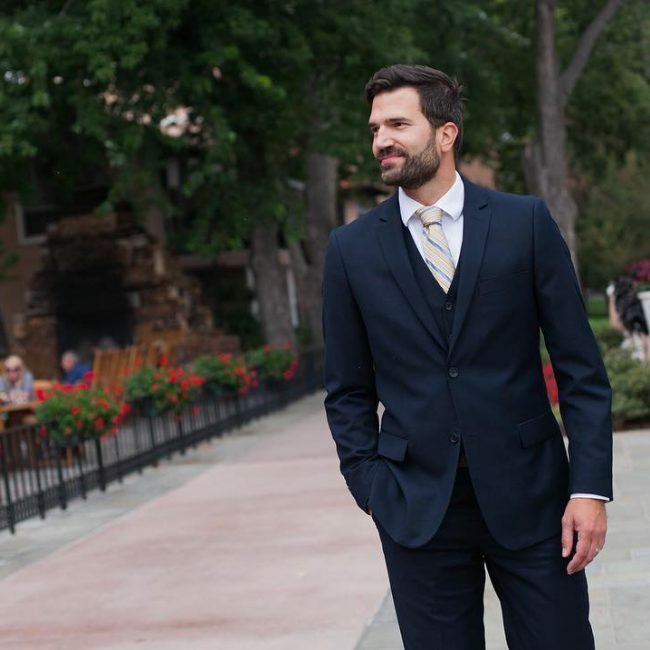 This is a cool wedding wear for men who want to look classic and partially formal. 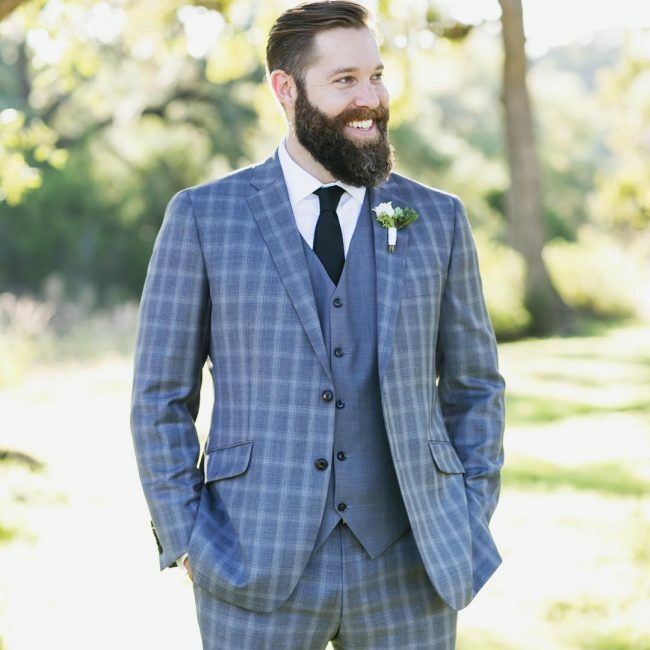 A pale grey 3-piece suit looks lovely when worn with a light blue shirt, a black tie, and black cordovan leather shoes. 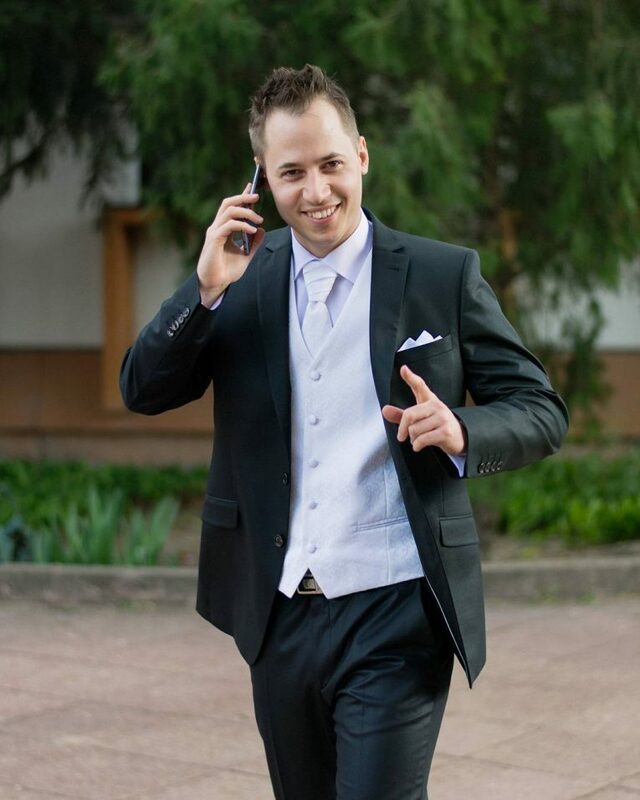 This is a cool wedding outfit for men who want to look simple and elegant. 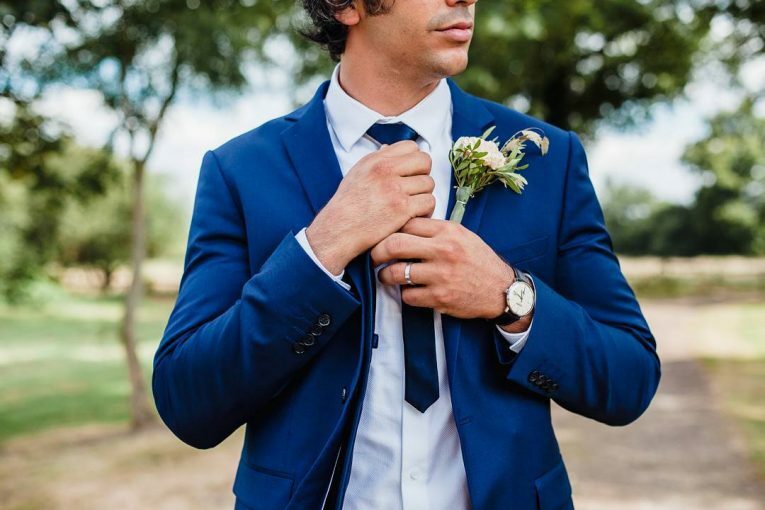 A navy blue suit is common men’s wedding wear that cannot fail you. 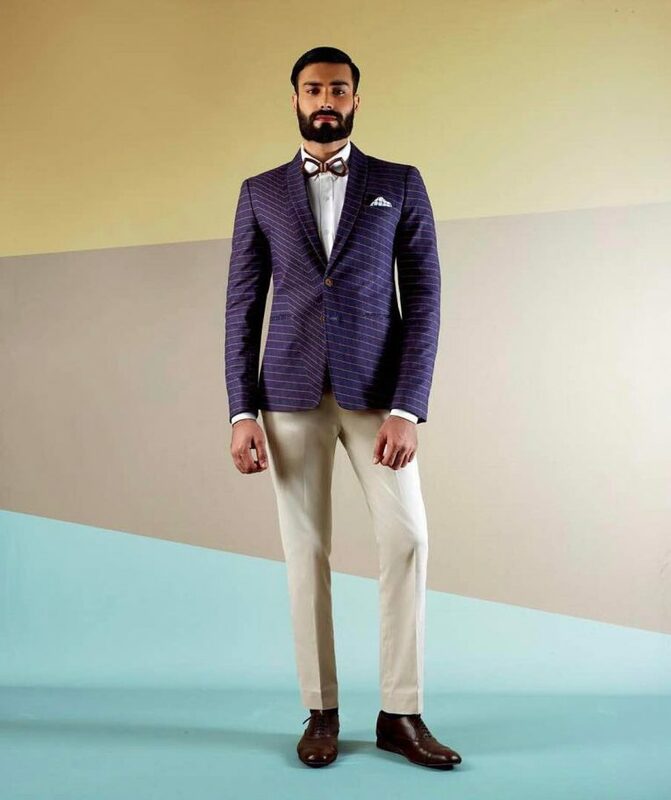 The outfit comes out beautifully when worn with a white shirt, blue tie and spiced with a flowered pocket square. 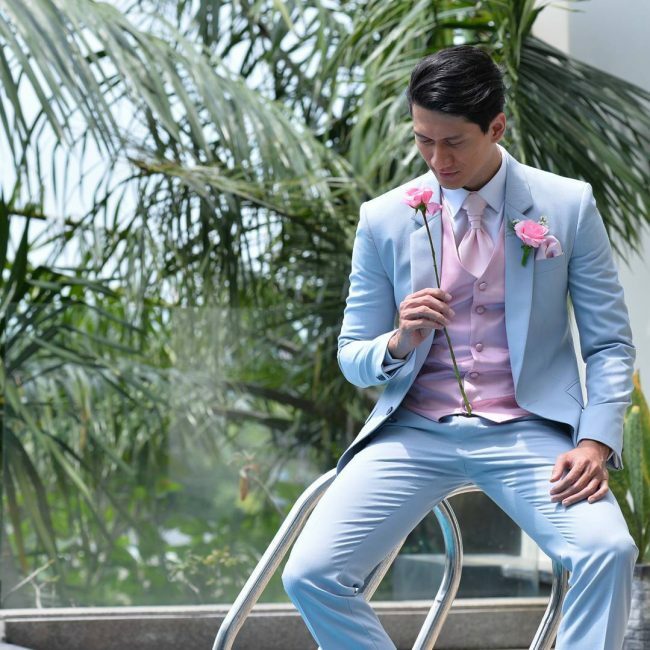 A pale blue 3-piece suit is a lovely men’s wedding wear that comes out beautifully when worn with a white shirt and a black or navy blue tie. 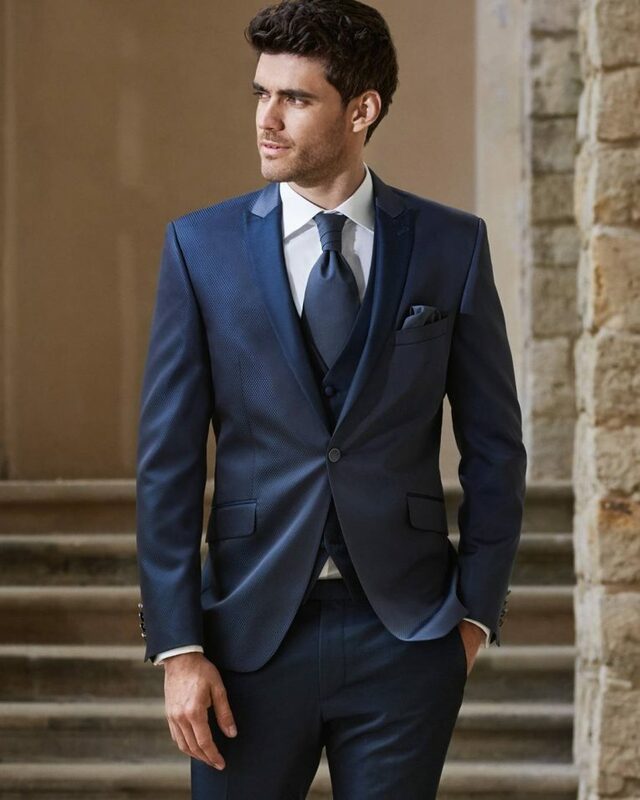 A strong blue 3-piece suit is a fancy men’s wedding wear if you want to look hot and attract some attention. The style can be completed with a white shirt, pinkish bow tie, and brown ankle-height leather boots. 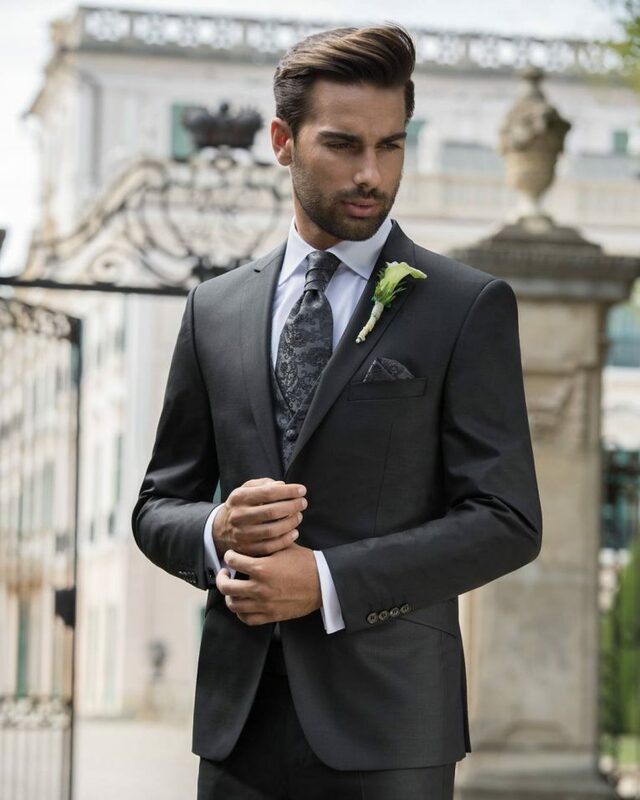 A fitting black suit is a simple and classy men’s wedding wear if you want to look traditional and elegant. 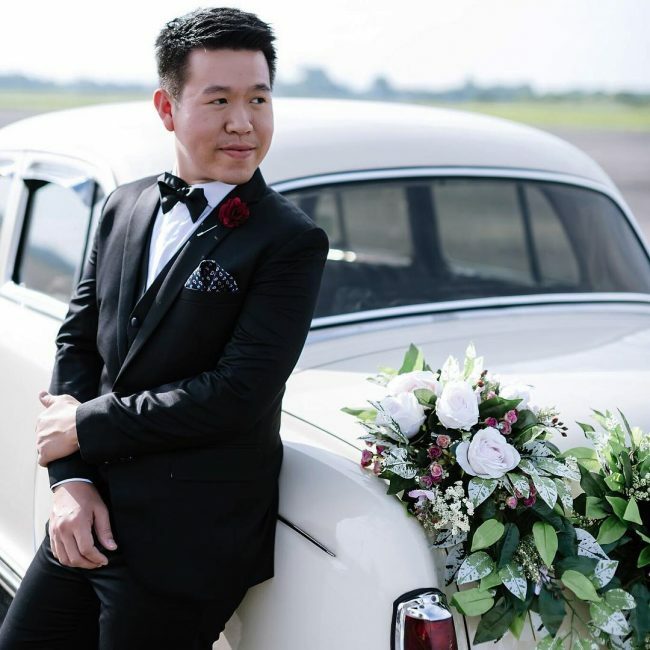 The style can be completed with a white shirt, black bow tie, and a black cordovan leather shoes. 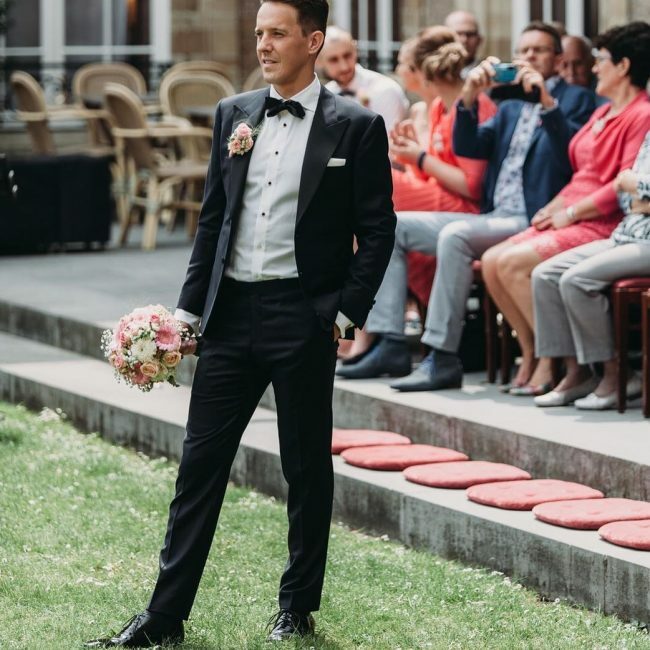 A navy blue tuxedo is fancy men’s wedding wear that comes out beautifully when worn with a white shirt, a black bowtie and black cordovan leather shoes. 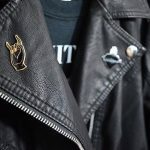 This is a cool style for men who want to look classic and expensive. 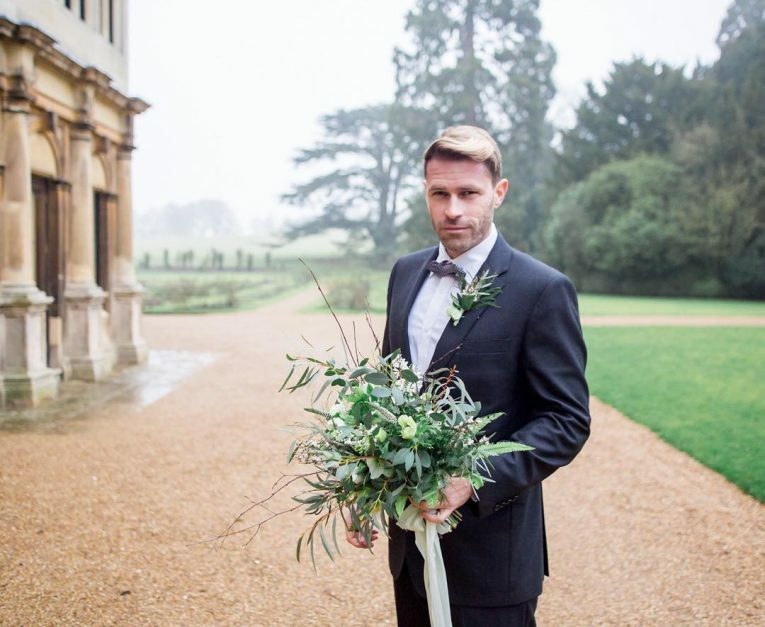 A classic tailored black tuxedo is a lovely men’s wedding wear that comes out beautifully when completed with a white shirt, black bowtie and spiced with a cream white lapel flower. 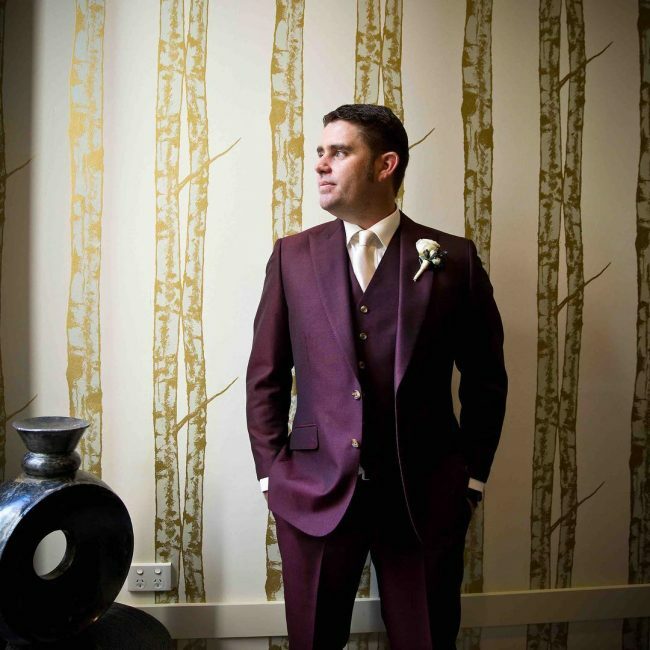 A beige 3-piece suit is a lovely wedding wear for men who want to fancy and attract some attention. 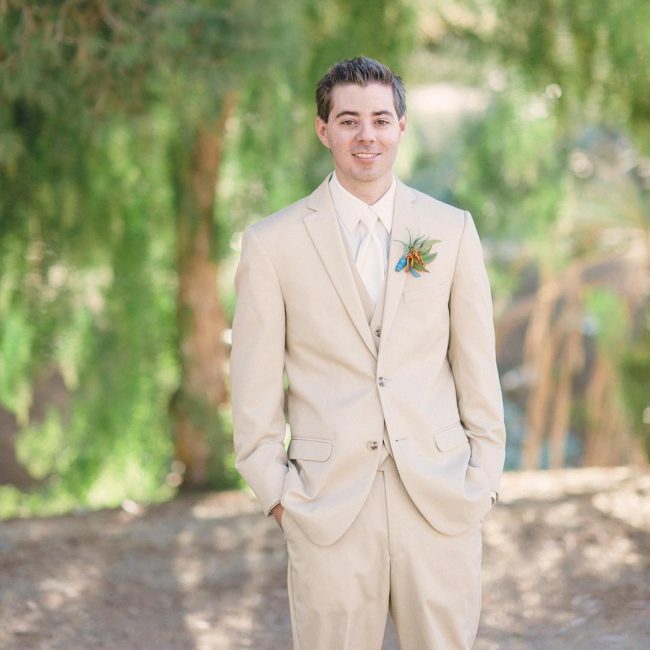 The style can be completed with a cream white shirt and a matching tie. 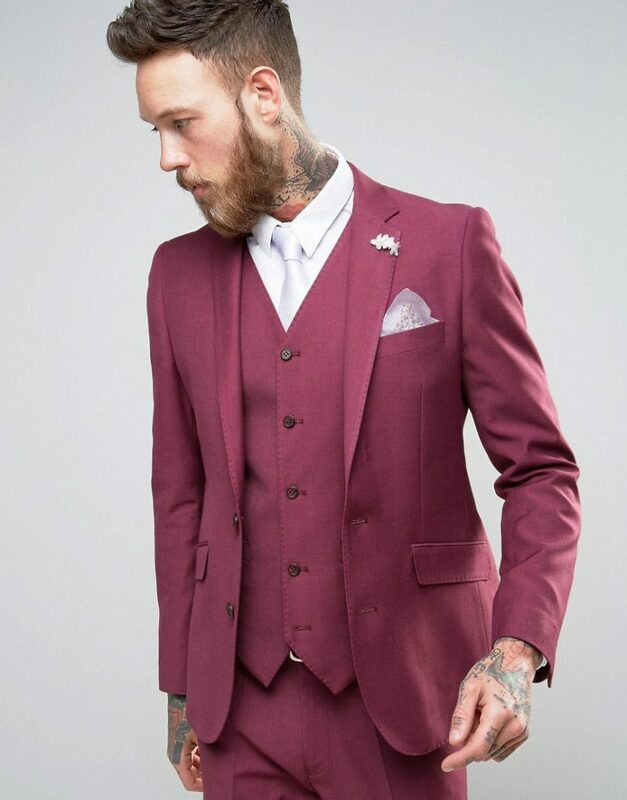 For men who would like to wear a shouting outfit to a wedding and attract some attention, a maroon 3-piece suit cannot fail you. 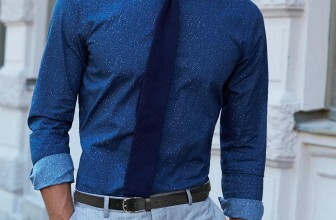 The style can be completed with a cream-white or white shirt and a matching tie. 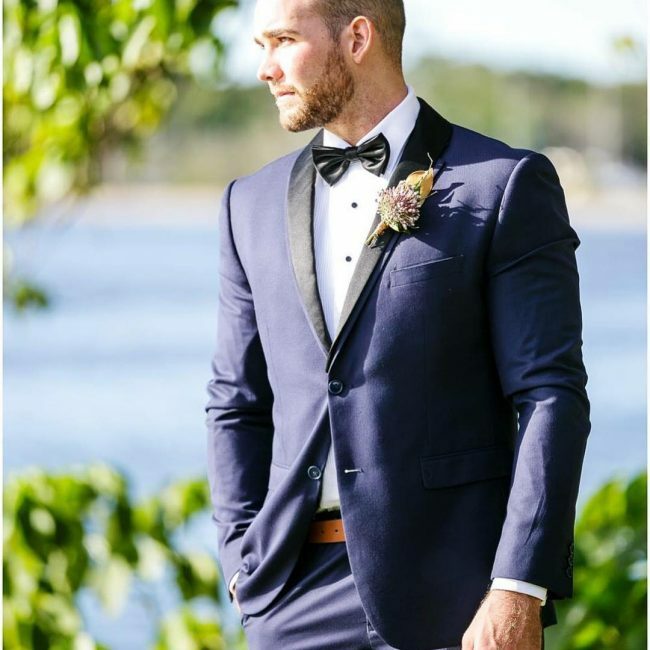 The admiral blue suit is a stunning men’s wedding that is suitable for men who want to look fancy and attract some attention. 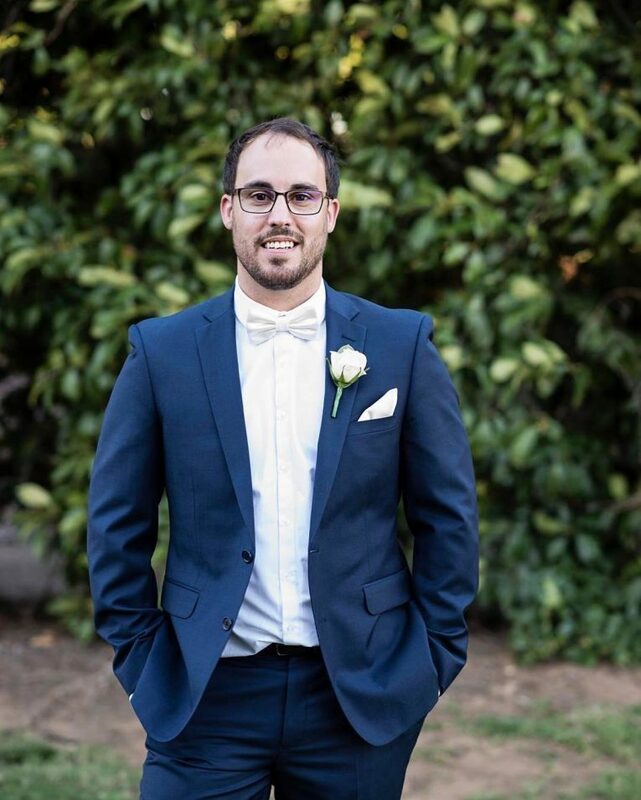 The style can be completed with a white shirt and a navy blue tie. 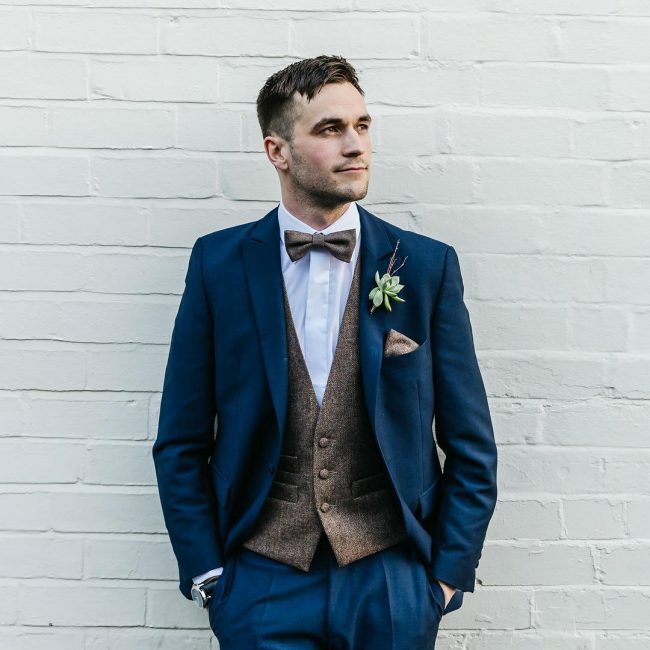 A peacock suit looks lovely when worn with a white shirt, a brown bow tie, and black cordovan leather shoes. 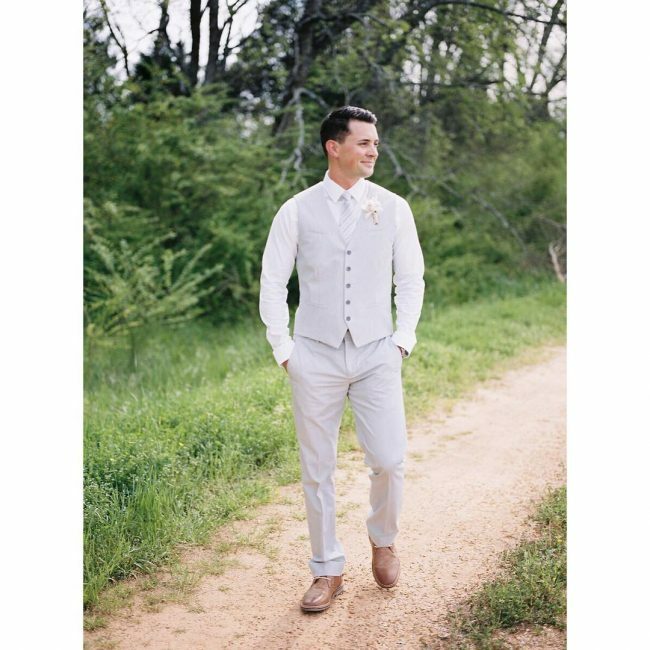 This is a cool wedding outfit for men who want to look simple and elegant. 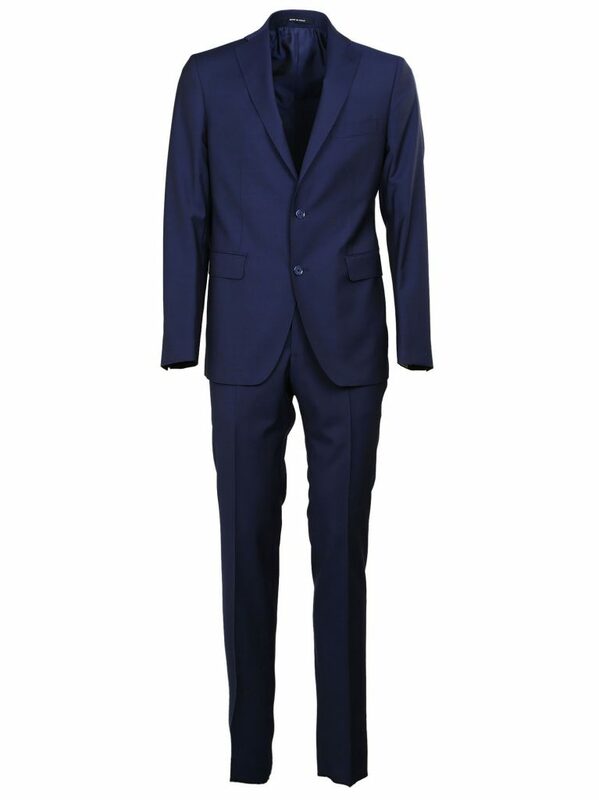 A dark blue 3- piece suit comes out beautifully when worn with a white or cream white shirt and a matching striped tie. 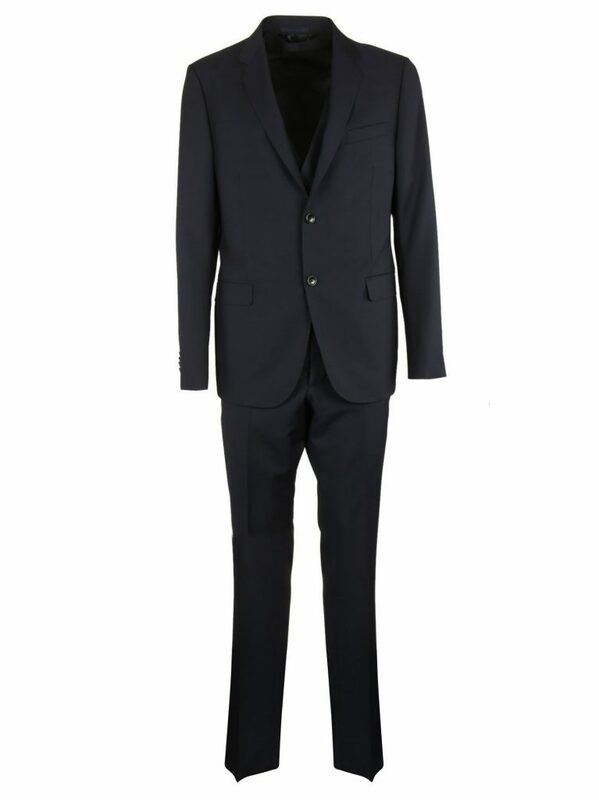 The outfit is a fancy wear for men who want to look elegant and maintain their formal status. 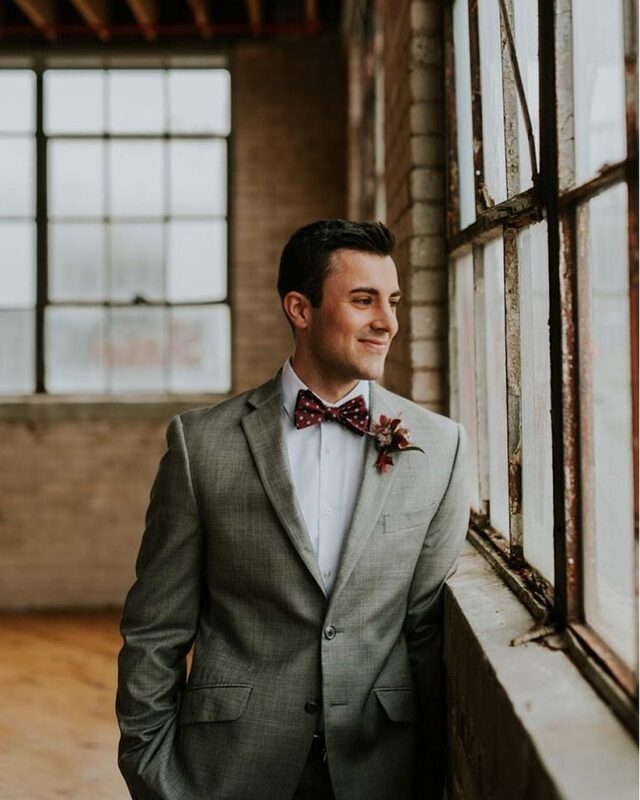 A fitting maroon suit looks fancy when worn with a white designer shirt and a matching bowtie completed with brown cordovan leather shoes. 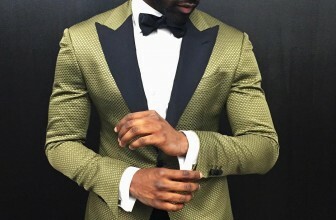 The style is the best for men who want to look hot and attract some attention. 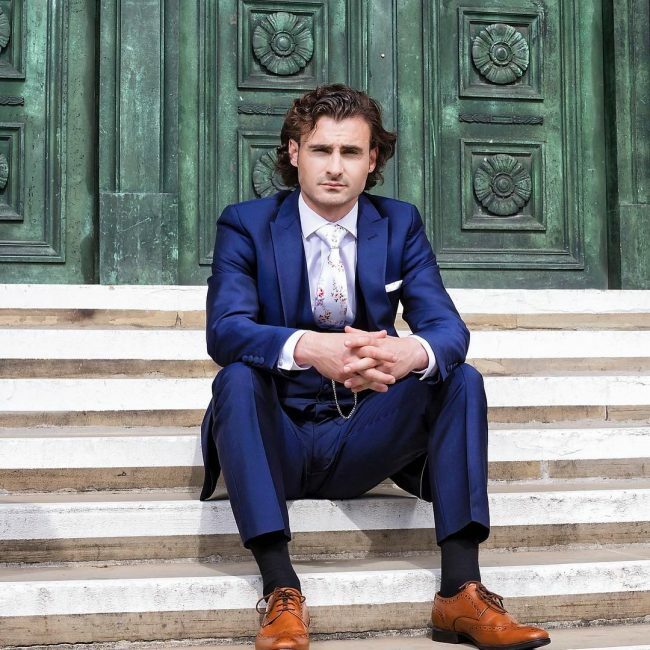 A strong blue 3-piece suit comes out beautifully when worn with a white shirt, a white flowered tie, and brown cordovan shoes. 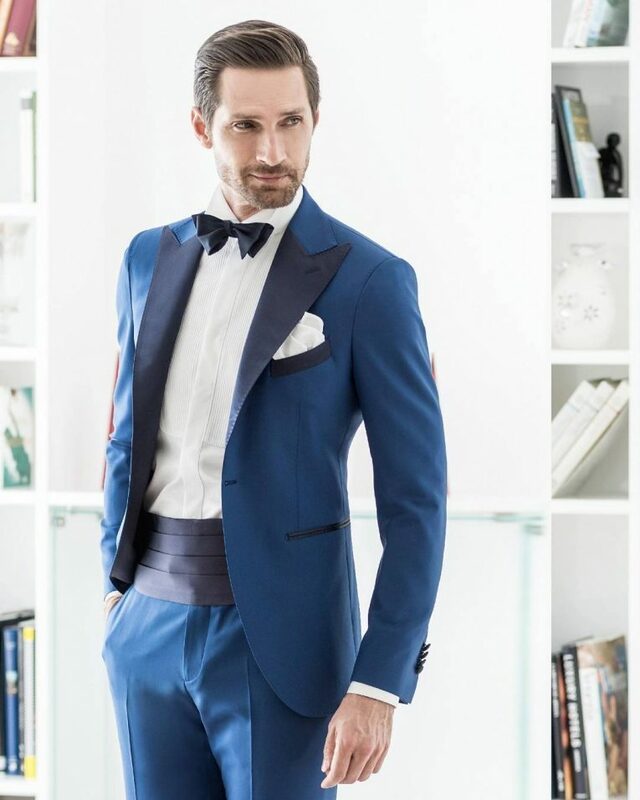 This is a super wedding wear for men who want to look elegant and bold. 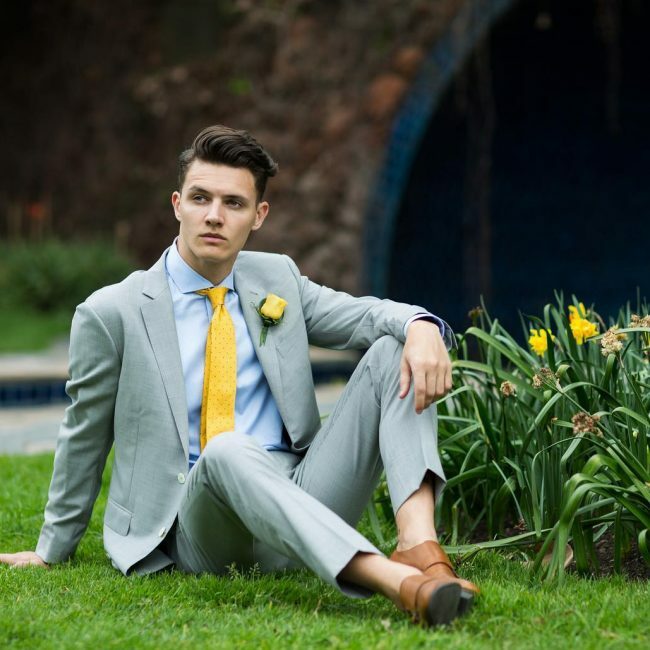 Generally, wedding suits for men are available in different colors and styles that you can choose from depending on the theme of the wedding and your taste. However, it is good to consult a wedding stylist on how to combine different colors and styles to get better results.